Placing the Watchdog in your stand, next to your RODI system, or any place where a leak could cause a catastrophe can help safeguard your home from water damage. 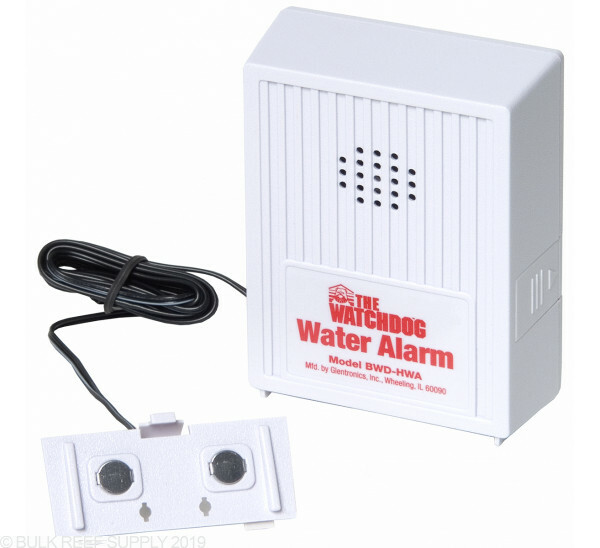 The Watchdog Water on Floor Sensor will report a super loud audible tone to alert you in the event of a leak. The unit comes with a 60" lead to mount the extremely sensitive conductivity sensor securely wherever you may need it. Detects water as shallow as 1/32"
4.25" x 3.5" x 1.75"
Note: By placing a paper towel under the sensors can help wick water towards the sensor for faster alerts, however the paper towel should be replaced every now and then for best performance. An overflow or a leak from an aquarium or it's equipment can cause a huge mess if not caught right away. 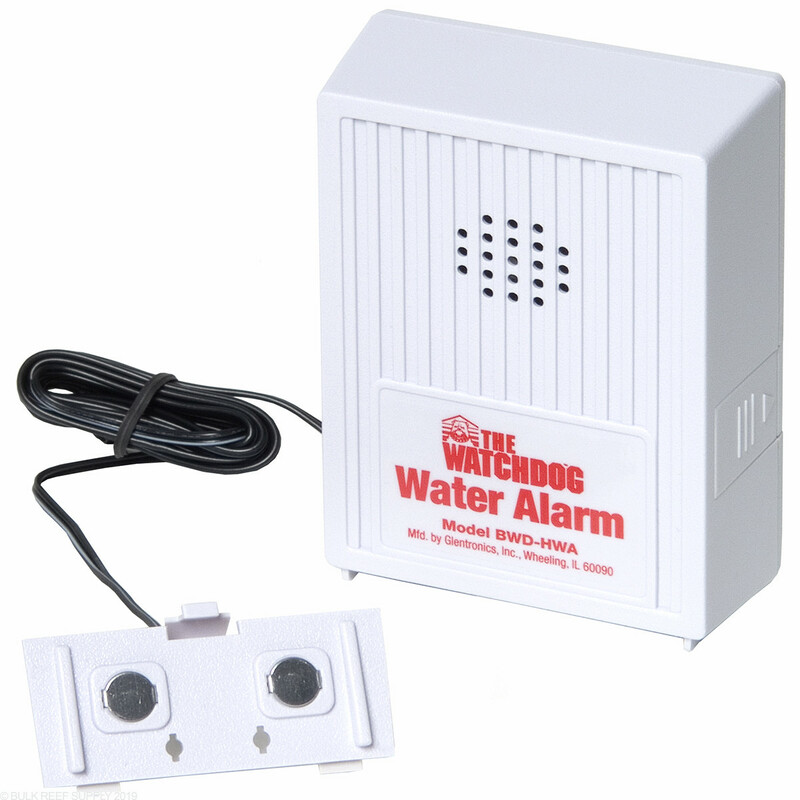 The Watchdog is a stand alone leak detection alarm that will give a very loud audible alarm in the event water comes in contact with its sensor pads. It is extremely sensitive and we have found they even work with RODI water. The Watchdog monitor is small enough to slip between sumps and stands, or the wired sensor can be placed in even tighter locations. 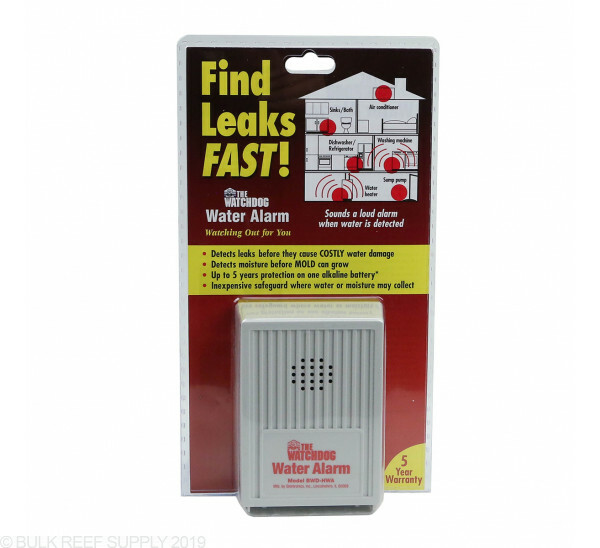 A single 9V battery (not included) will keep the Watchdog running for up to 24 months, standing by to alert you of the smallest drop of water that comes in contact with its sensor. 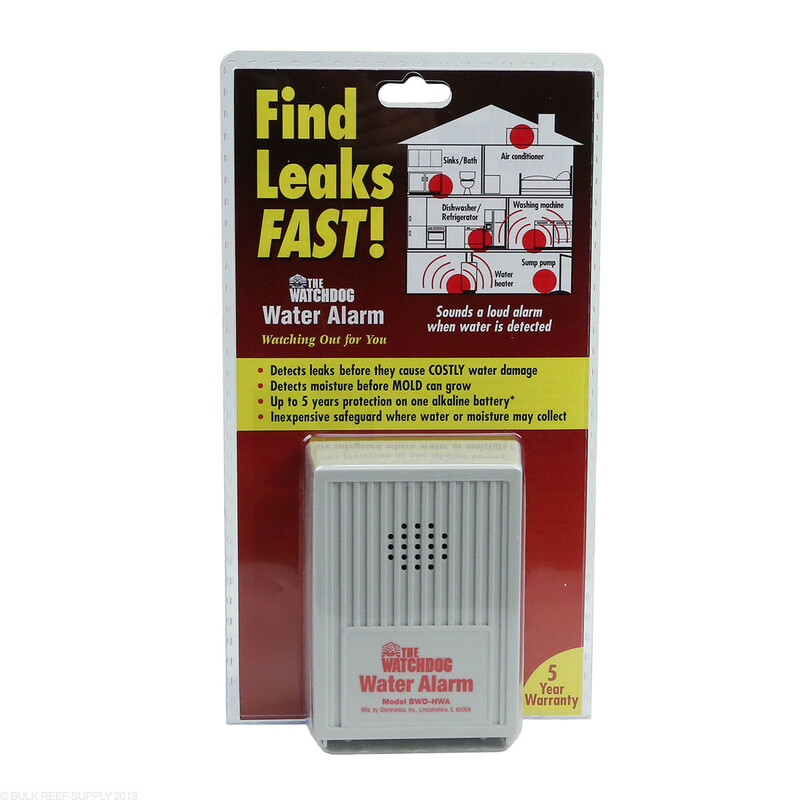 The minimal investment in a Watchdog Leak Detector can save hundreds if not thousands in damages. A great alternative and cheaper route to use a couple of these and a breakout-box instead of purchasing the LDM for your Neptune Apex. Just cut the wires and some minor mods and you have a cheap LDM for under $75 bucks! Purchased this unit for rental house basement. Told my tenants to let me know if they hear an alarm going off in basement. Four months later, I get a call after a heavy rain. This unit saved me at least $6,000. Otherwise my furnace and water heater would've been flooded and destroyed. That incident was 6 months ago. The unit still works great, best $10 investment I've made. I only go in rental house basement a few times a year, this device gives me a lot of peace of mind knowing any future water leakage will be detected quickly. bought 2, one for under utility tub up stairs, other to set beside sump tank in basement, hope i never hear them sound off but glad to have them for piece of mind !!! !